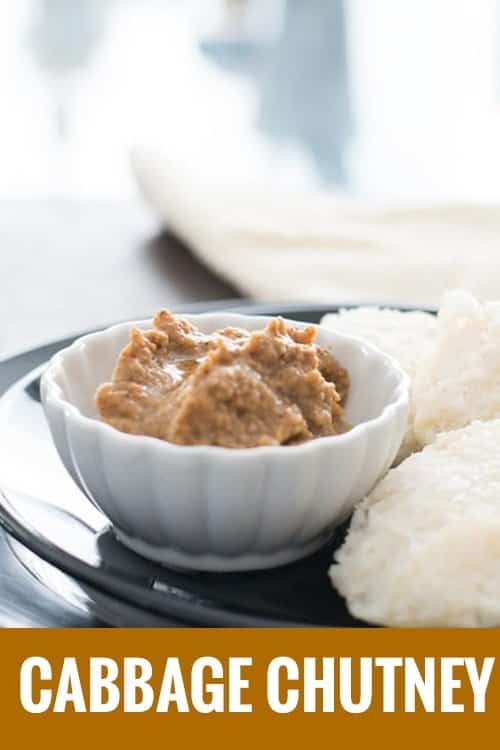 Cabbage chutney Andhra style recipe made completely with cabbage and without onion and coconut. The best chutney recipe to start the day freshly. Best to be served with South Indian Breakfast dishes like Idli, dosa or rice. And also a best condiment to be served with chapati. It is spicy, hot and balanced perfectly with tangy tamarind and the cabbage. Cabbage chutney is so flavorful and very easy to make. The Tamarind and the garlic added to the recipe make this makes this chutney so tasty and flavorful. Which is also called as cabbage pachadi authentically. This is a classic, traditional and authentic recipe that requires few ingredients which are staple in any Indian kitchen. As the 95% of this cabbage chutney has only cabbage, a good recipe for the people who are in the diet. 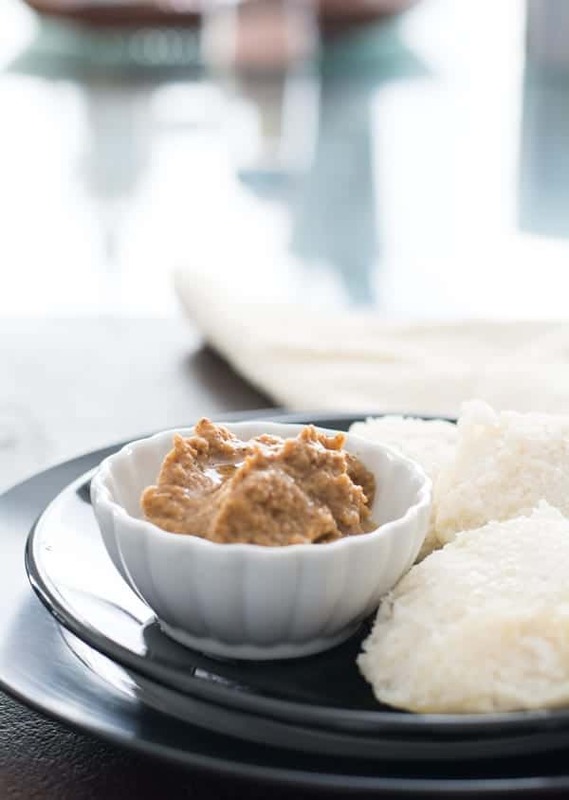 A great recipe for the people who are searching for the chutney recipe made without coconut or for spicy Pachadi (Pachadi is actually the regional name for chutney). Another important advantage of this cabbage recipe is that a way to include cabbage into our menu, as cabbage is the least preferred vegetable in south Indian households. If you are running out of time and want to make a chutney with no time, then try this Instant tomato chutney which is also a very common chutney I make often in my kitchen. So, why waiting. Make it or customize it in your own way. This recipe can be made in two ways either with a creamy texture and also the course texture texture. However, both does tastes great. so customize according to your indidvidual preference. I know what you ask for now. How this cabbage Chutney is made without coconut and onion? Because the cabbage has a great fibrous texture and creamy taste, which does not require coconut or onion to balance the red chili and tamarind. This is the recipe for spicy cabbage Chutney. But if you want to make it less spicy, then minimize the number of red chilies. I have added three red chilies and that is perfect for our family. But if you prefer more spicy, then add few more red chilies. Red chili can also be substituted with green chilies. But I prefer adding red chilies as I feel that it is better in color and in taste. Everyone has their own taste and preference so decide accordingly. Add gingelly oil while serving, if you feel the chutney is too spicy. Adding gingelly oil not only gives an authentic taste but also good for health. In a pan add half a teaspoon of mustard seeds, 2 tablespoon of urad dal, 3 red chilies and 2 garlic clove. Fry them until, mustard cracks and urad dal becomes golden brown. Then add asafoedtida and tamarind. Now add, shredded cabbage and again saute until cabbage shrinks and slightly changes it color. Remove it from the flame and allow it to cool to the room temperature. Add this cabbage mixture to a mixer/blender jar. Add salt and enough water. Grind it till it becomes a smooth paste. Transfer it to serving bowl, and serve along with Idli or dosa. The left over can be refrigerated and it may good for about 2-3 days. 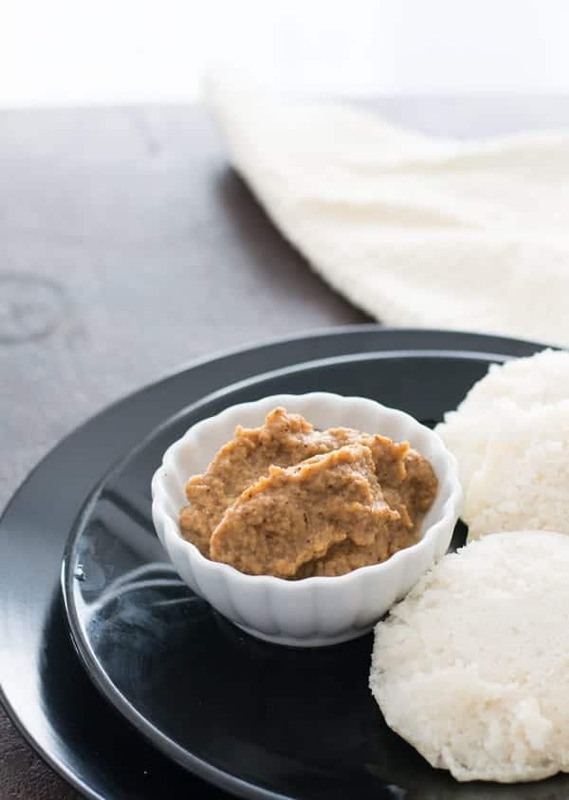 Cabbage chutney Andhra style recipe made completely with cabbage. Best to be served with Dosa, idli, and rice. And also easy and simple to make. In a pan, add cooking oil, mustard seeds, urad dal, asafoedita, red chilies. Fry until mustard splutters and urad dal becomes golden brown. Add tamarind and shredded cabbage. Saute until cabbage shrinks down to 80% and changes it color. Add it to the mixer jar along with salt and water. Grind it until it becomes smooth paste. Transfer it to serving bowl and adjust salt and water according to your preference. 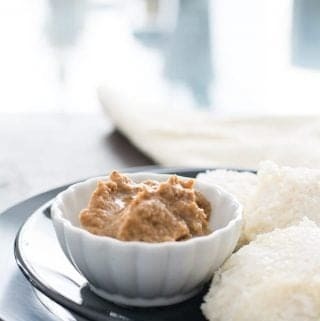 Serve as a condiment along with Idli or dosa or rice. Add capsicum or carrot along with cabbage. Add gingelly oil to the chutney while serving. This make the chutney more traditional and authentic.